Make a resolution in 2019 to get the support and advice to work through life’s many issues and challenges. MCC offers a Counseling Office that offers marriage and therapy sessions with counselors trained in Islamic holistic psychology. Some insurance plans accepted. Don’t suffer alone. 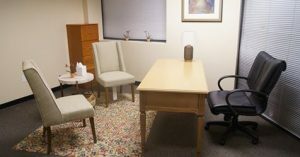 MCC offers counseling in partnership with the Khalil Center, a spiritual community wellness center that provides marriage, individual, and family counseling, pre-marital coaching, consultation, and a psychiatrist (medication management).